Unlike other parents, the parents of Autistic children often struggle alone. Faced with challenging and difficult behavior, its not always easy to find the best ways to help your child. Parents are often thrown into a situation where they have to navigate the minefield of getting official support, access to services and work out the strategies and support that will most help their child. 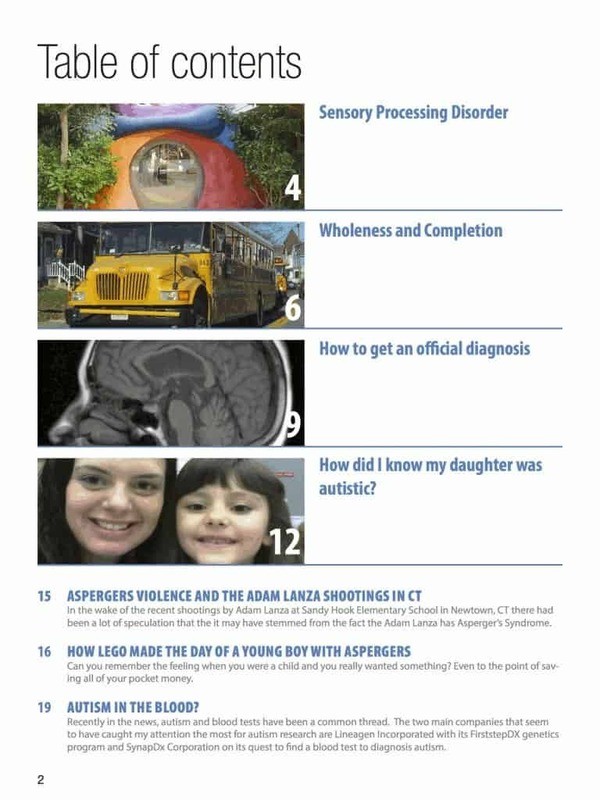 Because we get so many questions here at the Aspergers Test Site, we had put together a monthly magazine that will answer some of the most commonly questions by parents. We are proud to announce the release of Autism Parenting magazine. Released on a monthly basis, the magazine features the latest news, tips and advice for parents of children with both Asperger’s Syndrome, Kanner’s Autism and PDD-NOS. With helpful advice that covers subjects like: behavioral tips, sensory processing issues, mitigating meltdowns, special education needs and getting access to services, we are confident that the magazine will become a must read for parents of autistic children. Edited by Leslie Burby one of the writers for this site, the magazine will be available on Apples Newstand and available for download on the ipad. Leslie brings with her several years of working as a special educator as well as being the parent of an autistic child. As an opening offer we are currently offering the first issue FREE and a one month free trial for people who subscribe. To take advantage of the offer go to https://itunes.apple.com/us/app/autism-parenting/id588350613?mt=8 download the application, go to newsstand to find the Autism Parenting Magazine and then press the yellow subscribe button then the button that says free magazine trial. If you have any questions or difficulties just send us an email. I am also interested in a real physical magazine subscription which would be mailed to my home each month. I am not interested in any app or download version of the magazine. What is your fee for a yearly subscription to the magazine and when will it be available on physical news stands?? Thank you.